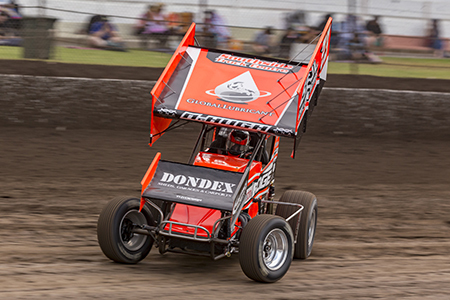 Miami QLD young gun Lachlan McHugh stands at the gateway to his biggest Sprintcar moment yet this Easter weekend, but first he has to contend with a 33-car field and a battle with a Speedway icon. Matt Egel scored victory in the final round of the Shadetec Ultimate Sprintcar Championship SA last Saturday night at Murray Machining & Sheds Speedway Murray Bridge but it wasn’t enough to ‘bridge’ the gap to points leader and back-to-back champion Robbie Farr. CAN DILLON & EGEL SWOOP ON FARR’S CROWN IN SHADETEC USC SA FINAL? 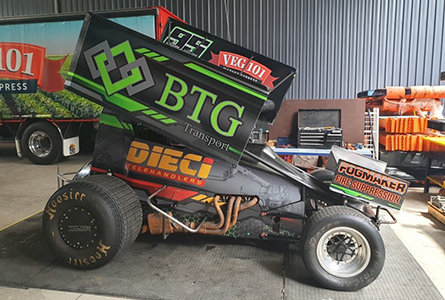 South Australian Sprintcar drivers Luke Dillon and Matt Egel are the only real mathematical chances of derailing Gold Coast based Sydneysider Robbie Farr’s attempt to go back to back in the Shadetec Ultimate Sprintcar Championship SA series this Saturday night. 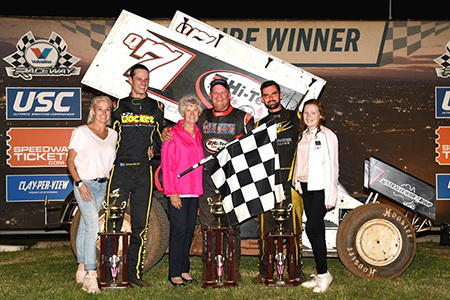 Robbie Farr etched his name into the record books as the winner of the inaugural 60 lap Sprintcar race at the Murray Machining and Sheds Murray Bridge Speedway on what was a fantastic way to celebrate 60 years of racing at the iconic venue. After trailing early race leader Matt Egel for the opening 17 laps once Farr made the decisive move he wouldn’t be headed as he went on take an historic win ahead of Brad Keller and James McFadden. 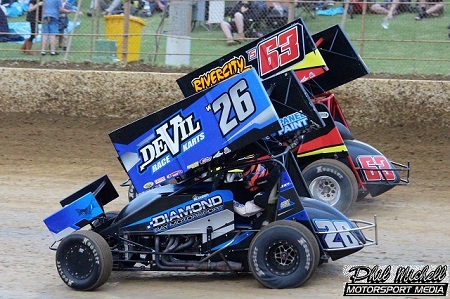 Local hero Ryan Jones clean swept the opening night of the 60 for 60 Sprintcar event at the Murray Machining and Sheds Murray Bridge Speedway as he led from start to finish in the Preliminary A-Main to defeat Robbie Farr and Matt Egel. Jones was simply superb all night as he put in a clinical display as he set the fastest lap in his qualifying group before winning both of his heat races and leading every lap on his way to a dominant win in what also doubled as Round 5 of the Shadetec USC SA. 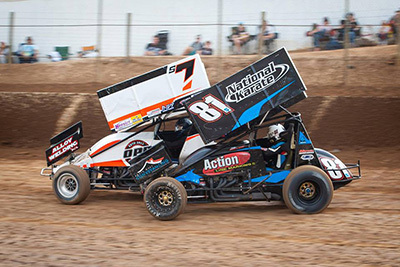 A Sprintcar race that has been 60 years in the making will take place this Saturday and Sunday night at the Murray Machining and Sheds Murray Bridge Speedway with the 60 Lapper, a race that will pay out $60,000 in prize-money to celebrate 60 years of the iconic South Australian venue. For the second time this season Mitchell Motorsport had their racing night cut short by Mother Nature with the yet another USC QLD rain out at the Toowoomba venue. After sitting out of competition during January the Mitchell Motorsport / Eagle Ignition Leads #19 returned to racing on Saturday night (February 2) for the Lord Mayors Cup, which doubled as Round 5 of the QLD USC series at Toowoomba. With some of the best drivers in Australian Sprintcar racing including the likes of Kerry Madsen, James McFadden, Dave Murcott and Steven Lines joining the usual locals there was a very competitive field of 33 cars in the pit area the night was going to tough, and that prediction proved to be correct. 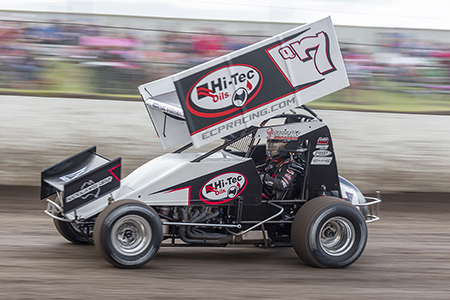 ONE of the most successful drivers in Australian Sprintcar racing history Robbie Farr returns to Hi-Tec Oils Toowoomba Speedway this Saturday night. 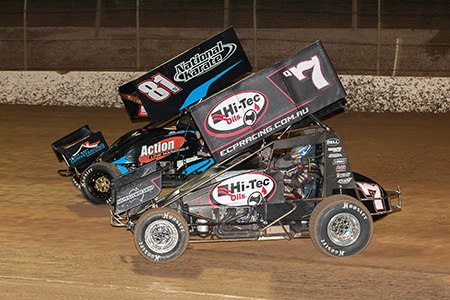 Once again, the South Australian race fans were treated to a fantastic night of Sprintcar racing at the Murray Machining and Sheds Murray Bridge Speedway, this time for Round 4 of Shadetec USC SA. 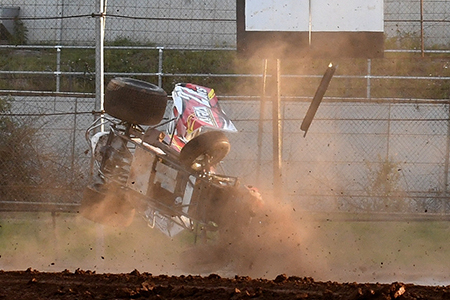 After losing the previous round within sight of the chequered flag Robbie Farr wasn’t going to let it happen again as he fought off a determined Cory Eliason in yet another dramatic finish to an A-Main at MMS. 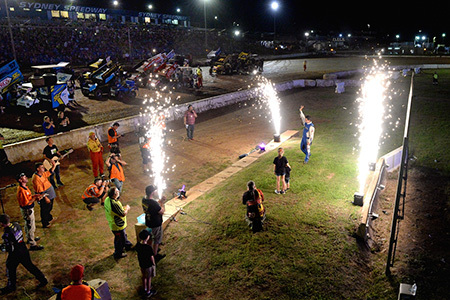 The Murray Machining and Sheds Murray Bridge Speedway will celebrate the New Year with a massive night of Speedway action this Saturday night featuring Round 4 of the Shadetec Ultimate Sprintcar Championship SA and a huge U-Pull-It Demolition Derby. “It was always a question of not if, but when the rain would come” was the comment from Danny Reidy’s Car Owner Peter Mitchell following the latest round of the Ultimate Sprintcar Championship Queensland at the Toowoomba Speedway. After qualifying in position five for the 30 lap A-Main Reidy had set up a great opportunity to capture his second main event win for the Eagle Ignition Leads supported Mitchell Motorsport Team but it wasn’t to be as the rain came just prior to the final event. 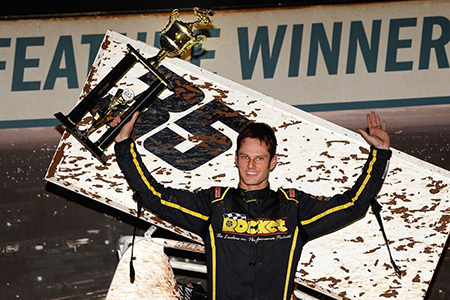 On a day that saw Murray Bridge experience a day of wild weather it was Matt Egel who produced his own extreme weather pattern as he blew by Robbie Farr with a last lap pass to add his name to the list of Ultimate Sprintcar Championship SA main event winners. After starting from position 8 Egel was running fourth with four laps remaining but a late charge saw Egel take the win in what will go down into the history as one of the most memorable Sprintcar races in the venue’s history. We are a leading marketer and promoter of motorsports activities in the Sydney, NSW and Toowoomba, QLD regions. The Company is the promoter of Sydney Speedway in Granville NSW, Toowoomba Speedway, in Charlton Queensland and the Ultimate Sprintcar Championship (USC). You can contact us during Office Hours. © Copyright 2015. 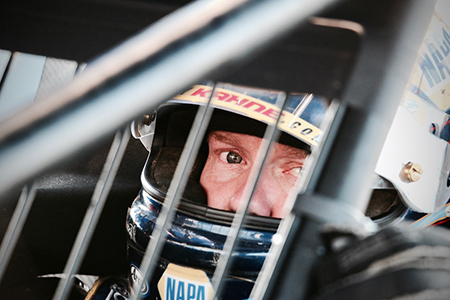 Ultimate Sprintcar Championship All rights reserved.